The "Lady Dior" bag owes its name to Lady Diana, has become a classic of the Parisian fashion house Christian Dior. 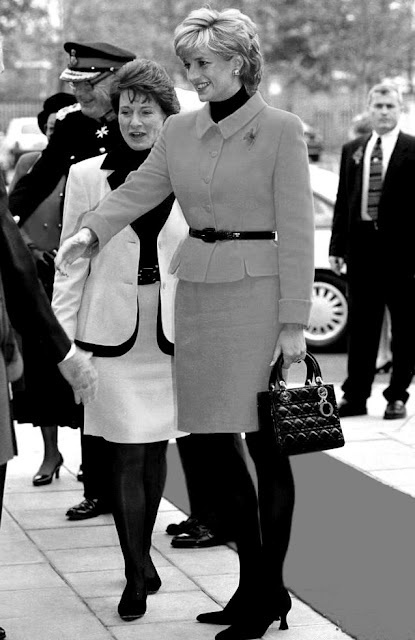 In 1995, at the Cezanne Art Exhibition sponsored by Dior Corporation, the former French First Lady Bernadette Chirac sent Princess Diana a new model of Christian Dior bag as a gift. Then Dior immediately named this unreleased by "Lady Dior". Diana liked this bag so much that she carried it in many important official occasions. I'd love to have a "Lady Dior" bag. It's so graceful and elegant, isn't it?